I want to create a culture of service in Lewisville. As Mayor, I will encourage citizens to give back to the community through acts of service. Because kindness is contagious, I plan on recognizing our citizens who give back in this way. I want to create a Service Passport, where individuals can document the acts of service they complete. For example, citizens who spend time at the Lewisville Senior Center, and who serve lunch at their banquets, would make an entry on their Service Passport. Volunteering to drive a senior to physical therapy would add another entry in their book. Once their book is complete, they would be recognized at a city council meeting, and receive a Level 2 booklet. I want to do more for the senior community living in Lewisville. I'd like to explore the possibility of adding additional services for seniors, like other cities are doing. One problem that many seniors face is the difficulty in paying their rent after the loss of income due to retirement, or the loss of a spouse. I would be interested in looking into ways the city could partner with technology companies that could match seniors in need, so that with a roommate, they can afford to stay in their homes. We have to do more for the veterans that live in our community. Did you know that when veterans seek assistance for housing from organizations in Lewisville, like CCA, they're often put in extended stay motels like Budget Suites? That's not an ideal situation, for a number of reasons. Organizations that help veterans get into permanent housing can be eligible for large Federal grants. The Federal Government doesn't classify Budget Suites as permanent housing. If we rethink how we do things, we can get funding from federal programs, and we can put the veterans who need help in a better position to succeed. As Mayor, I want to explore the possibility of creating a tiny home village for veterans. By getting veterans involved in the building of these homes, and teaching them valuable skills in the process, we would be eligible for a number of grants from federal programs setup jointly by the VA and HUD. The ongoing participation by these entities would help ensure that these tiny homes remained in good condition. I would also encourage citizens to get involved. Physically, by volunteering to help build these homes, and financially, by donating money. I have some ideas on other ways we can raise money to help provide for our veterans in need. 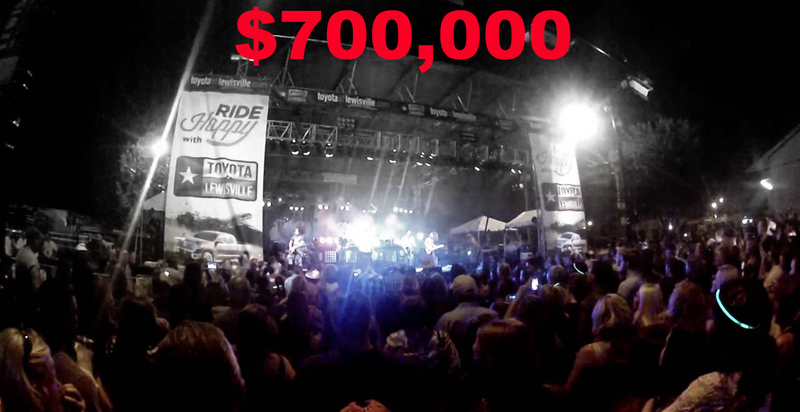 Did you know that the City of Lewisville spends close to $700,000 on Western Days? Almost half of that is paid to the bands that perform on the stage. As Mayor, I will look for entertainers who, like us, feel called to assist those who fought for our country. I'll look for bands who will waive their fee to help us put on an annual benefit concert. I already have a commitment from the highest grossing band in the 90s to perform for free in Lewisville for a benefit concert. Color Me Badd is willing to partner with the City of Lewisville to help end veteran homelessness. Together, we can give something back to those who gave so much for us. We can raise money for causes we care about with benefit concerts.